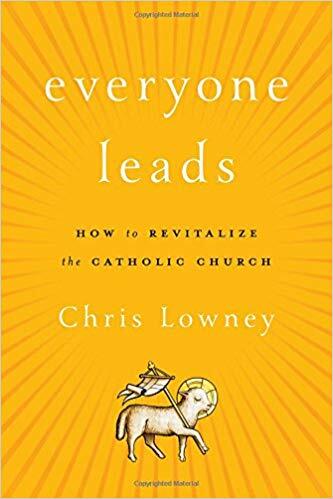 The large cap title of Chris Lowney’s book, Everyone Leads, raised my eyebrows. Was the author, who incorporates into his book technology from the world of business and finance, looking to create a church of all chiefs and no followers? As I read, the answer became a negative. In the course of his book, Lowney unwraps a definition of leadership that works for his proposed solutions to critical problems besetting today’s Catholic Church. Lowney focuses on leadership of a different sort. His imagined church leaders are courageous innovators. They are quick to utilize entrepreneurial advances that characterize society today. They are deeply dedicated to church ministry. They are prayerfully active in drawing others to begin walking that walk. And in his vision they are all of us. Five parts of Lowney’s strategic project, which he calls its pillars, begin with embracing and empowering but particularly donning an entrepreneurial spirit. 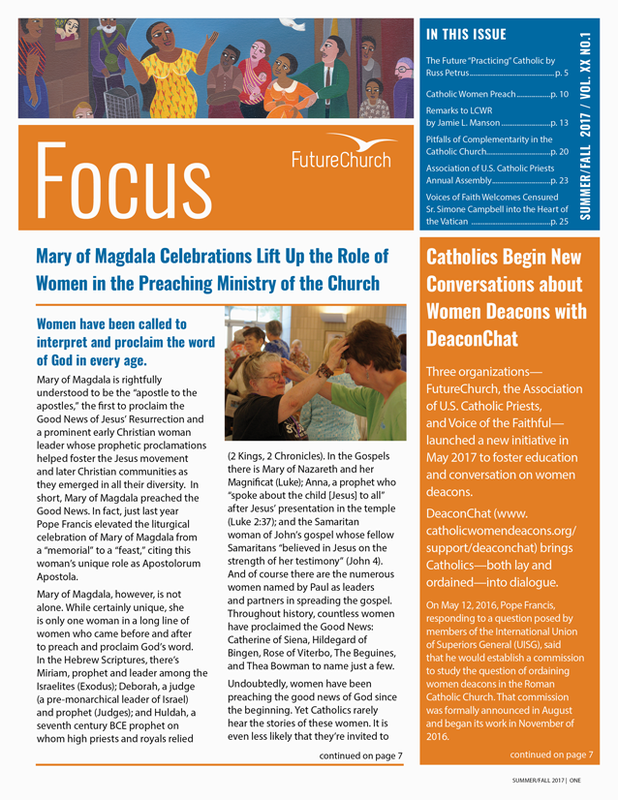 “To improve, we will become more nimble, exploit modern technology, express our message creatively, share information more widely, empower our laity, vary prayer and worship styles to accommodate our very diverse populations, offer meaningful spiritual growth opportunities, make better use of our talent, and, overall, be not only open to new ways of doing things but eagerly seek new approaches.” A tall order. Sections 2, 3, 4, and 5 of Lowney’s project correspond with the letters, A, S, T and R of the title, EASTeR. Section A covers accountability. Lowney is hardly the only one calling for at least minimal accountability owed by the church hierarchy to its membership. Few modern institutions survive today without being fully accountable to those who serve them. The Catholic Church remains caught in the ancient past. Lowney considers money only part of the payoff, but emphasizes that Catholics could go from the least financially generous of America’s religions, giving only an average of 0.7 percent of income, to topping the Baptists, who give about 2 percent of household income. The remaining sections, S, T and R cover service, personal spiritual transformation and reaching out to those who have drifted from the church, never heard of it, or are marginalized by it. Lowney paints an image I found quite unforgettable. He calls the anecdote “wet socks” and describes a sister who dips her fingers in a holy water font upon entering an inner city church. A woman steps to her side and warns the author’s friend not to touch the water. She has seen a desperate homeless man rinsing filthy socks in the font’s waters. This, the mission of our church to serve, to keep on serving, and to find new ways of serving the poor is one of the strongest of Lowney’s church renewal pillars. Lowney draws upon warm welcoming practices found in churches other than Catholic. He is not alone in identifying the near absence of hospitality to those visiting our churches as well as a lack of follow-up concern for those absenting themselves from our congregations. The focus is especially on the young adult population where loss statistics are the highest. Lowney emphasizes the need to undertake many ways of recognizing, incorporating, and being there for this group, so vital to the future of the church. Everyone Leads is one of many studies on how to revitalize a church gravely in need of solutions to problems new and old. Its value lies particularly in two strengths with which the author presents his proposals. First, Lowney makes quite a successful effort to frame his material in ways attractive to both traditionalists and progressives. He quotes evenhandedly from all the recent popes to highlight points. The words of Benedict XVI and John Paul II pepper some of his paragraphs. But he uses the powerful “dusty shoes” imagery of Pope Francis in a closing chapter. Possibly of greater importance, Lowney presents himself with sincere humility. His are not sweeping remedies to the problem of declining clergy or efforts at hierarchical reformation. In his opinion revitalization begins and develops its vigor in the grassroots. Chris Lowney has created small, achievable steps toward shaping a church we would want to be in. His book is readable. His proposals are worthy of prayerful consideration.